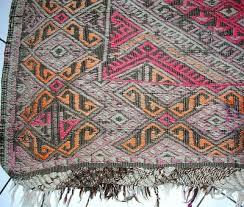 I have been weaving my cloth for a long time. Sometimes intentionally, sometimes on automatic pilot. It’s one of those things we humans do. The errors in my weave are monumental. But, still, the cloth holds. Being able to see so much beauty in the cloth of others, I know there is a particular beauty in my own as well. Often, I miss seeing it because I’m looking too closely or too critically, not seeing the expanse, the enormous spectrum of color, pattern, variation, hope, love, hurt. I forget about the 75 trillion cells that are me, and ten times that many bacteria, and the 99.999% of me (and everything) that is empty space. If one desires a flawlessly milled piece, mine will hurt your eyes. Even for me, maybe especially for me, it’s hard not to let my “eyes” land repeatedly on the ragged, knotted, and broken places in the cloth, thereby missing its richly experimental and wondrous wholeness. Here’s the thing. The edges feel frayed and disconnected. This is natural. The frayed edges mark the frontier of expansion or unraveling , reveal the never-ending process, the sting of longing for connection. Seeking connection to the “beloved” (my self and/or other) I understand why Rumi wrote so many poems to Shams. Don’t we all want to be “met”/understood by the beloved? The good news? Finally the universe starts greeting me, meeting me with bountiful offerings. Like you (I imagine), I find inspiration in diverse places, in colors, in nature, in architecture, in poetry, the lives of others, heroic and/or kind, in beauty. The inspiration arrives, mostly saying do not be ashamed of your frayed and flawed cloth. Instead, notice its dimensions, its storyline, your aboriginal right to be. To be seen, heard, understood. Notice how your cloth — unique as it is, also tattered and wrinkled — mirrors, reverberates back to the ancient ones, as well as to next door, and across oceans. But what about being understood? This is something I often notice missing from the conversation. Blatantly, as a child. The accepted practice. Children were to be seen and not heard. (Ergo, not understood). Childhood, experienced in this manner, is a long time. The oppression of large groups of people, historically, geographically is widespread —itself evidence of lack of understanding — including slavery, Jim Crow, racism, misogynistic laws, homophobia, exploitation of children, warfare. But voices in the glorious wilderness are finally arriving on my “doorstep”, like light from a star after eons passing through darkness. Without a prescription to save the planet and species, they nonetheless offer deep nourishment and inspiration necessary for life-enriching reflections, the sustenance needed to support the courage and will to engage. They show up in such unassuming fashion, mostly on my Facebook page. Losing none of their brilliance for that. Maria Popova and Krista Tippet host truly extraordinary conversations in both essay and podcast forms. I am ready to do some inter-weaving — hearing, understanding, being understood. It’s such an amazingly complex world, full of flaw and deep beauty. Not only out there. In here, in me, in each of us. It won’t be the Lone Ranger or Superman who will save us. It will be us. To do that, we need to make some great progress in understanding ourselves and each other. Through a link in this magnificent essay on Maria Popova’s “Brain Pickings”, I arrived at Krista Tippet’s “On Being” interview with Sherwin Nuland. Perhaps you’ve read the post and heard the podcast already. If you have, Bravo! If you haven’t, it’s my joy to offer you both. My suggestion? Get a cup of your favorite tea, put your feet up, and let your frayed edges interweave with this glorious wisdom. Please, let me know what you think. Maria Popova on Sherwin Nuland. How fabulous. And rich! I love receiving your blog in my inbox! And the interview with Nuland. Fantastic. The poetry of your language here felt like a kind of weaving in itself. How cool. Great post! Next Next post: (instead of) Reading….